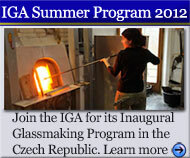 The IGA Czech Glass History Chronicles discusses Czech glass history, traditions, techniques and cultural heritage. The Chronicles will be updated regularly. The Czech lands (present-day Bohemia and Moravia) possess a long and rich history. Czech glass, also called “Bohemian” glass, has been produced since the Middle Ages. 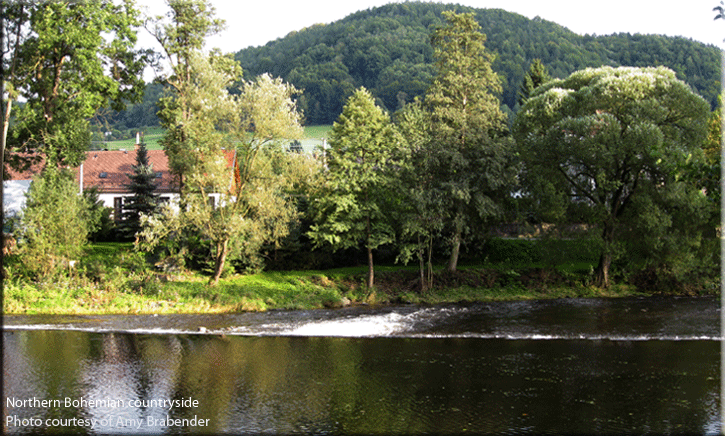 The silica in Bohemia’s mountains, the waterpower of its streams and the wood available in its forests provided an abundance of raw materials necessary for glassmaking. During the Middle Ages, Bohemia was a powerful and rich member of the Holy Roman Empire. Prague, being the residence of the Holy Roman Emperor, Charles IV and later the Hapsburg Emperor, Rudolf II, made Bohemia a center of power in central Europe. 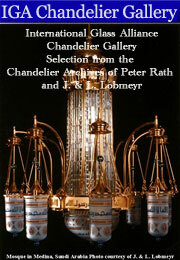 This combination—natural resources, political power and wealth—propelled the development of the glass industry. With the influx of members of the court and foreign aristocrats, Prague became a flourishing metropolis, attracting Europe’s best artists and craftsman. Foreign artistic trends reached Prague and demand for luxury goods increased. Glass quickly became one of the Czech lands’ leading exports and remained so well into the twentieth century. Read more about various historical periods and specific glassmaking techniques in the upcoming IGA Czech Glass History Chronicles.